High quality ultra light down vest with 90 % down and 10 % feather inside.It is packable (with a jacket you get also a matching bag) so it is easy to carry. Available in many fashionable colours. Unisex shape. Down Vests There are 3 products. 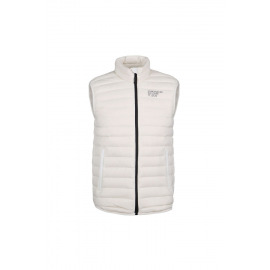 Ultra Light Down Vest by Scandinavian Explorer - Norwegian design, 90% down and 10% feathers. 650 CUIN / fill power 120 g/pc High density shell fabric High Warmth-to-Weight ratio. 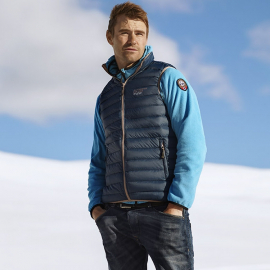 Ultra Light Down Vest by Scandinavian Explorer. Norwegian design! 90% down and 10% feathers. 650 CUIN /pc High density shell fabric High Warmth-to-Weight ratio.